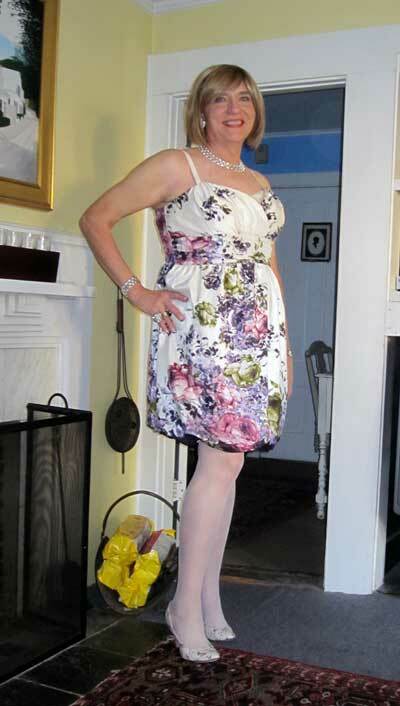 I dressed to kill for the Monday evening installment of Fantasia Fair: a delicious BBQ dinner and a very amusing performance by transman comedian Ian Harvey. Emily took the photo at my B&B before I departed for the evening festivities. Love that dress! I wish I had the body to carry it off!!!!! I love your outfit. You look great.